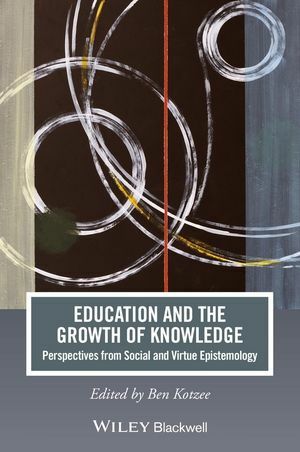 Education and the Growth of Knowledge is a collection of original contributions from a group of eminent philosophers and philosophers of education, who sketch the implications of advances in contemporary epistemology for education. Ben Kotzee is lecturer in the Jubilee Centre for Character and Values at the University of Birmingham. He specializes in applying insights from contemporary epistemology to questions in the philosophy of education. Dr Kotzee has previously written on the nature and development of expertise, educational justice and the constructivism/realism debate. He takes an active interest in professional education and is currently engaged in a study of character and values in the professions with a special focus on the legal profession. 4 Can Inferentialism Contribute to Social Epistemology?